Most Popular Mounting! 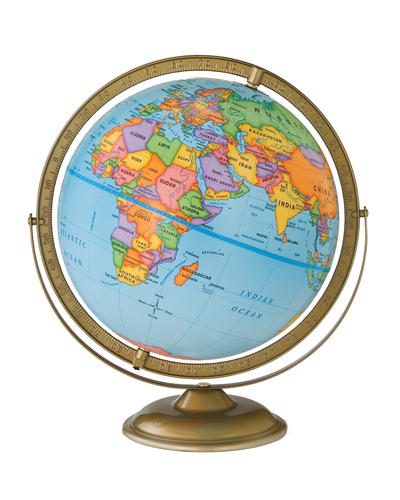 The 12 inch Plastic Discovery Globe in a Swing Meridian Mounting allows an unrestricted view of the Earth. This plastic globe matches the Discovery Maps. Bright colors. Excellent readability.